It’s the middle of the month and you receive that data plan text saying you only have 10 percent data remaining. There goes that sinking feeling in your stomach. Luckily, you can stop that in its tracks by keeping tabs on your data usage and setting limits to conserve data. 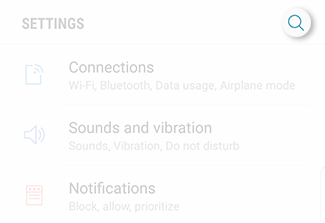 Your Note8 makes that a breeze with three useful settings. It really comes in handy when you’re in a data crunch. • To view your data usage over the mobile network, touch Mobile data usage. 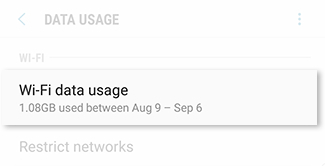 • To view your data usage over Wi-Fi networks, touch Wi-Fi data usage. Note: Meet Data Saver: your secret weapon in the fight against drained data. 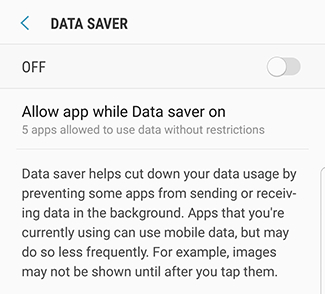 Data Saver prevents some apps from sending or receiving data in the background. So you can be rest assured, you’re not wasting any precious data. What a relief! 3. Touch the Search icon. Then search for and select Data saver. 4. To enable Data saver, touch the slider. Note: To exclude apps from Data saver, touch Allow app while Data saver on. 5. 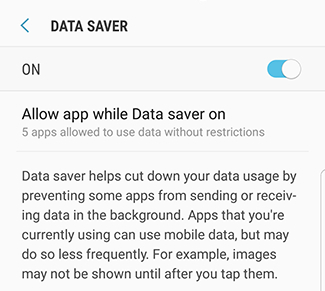 To disable Data saver, touch the slider again. 5. 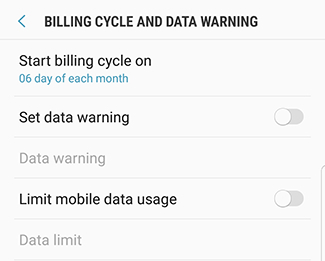 Touch Billing cycle and data warning. • Start billing cycle on: Set the date when your billing cycle starts to accurately keep track of your mobile data usage. • Set data warning: Enable or disable to set a warning on your data usage. 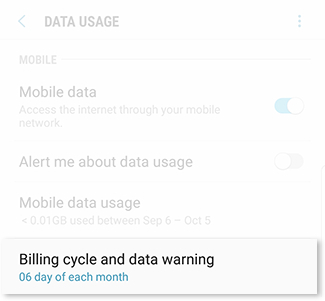 • Data warning: You will receive a warning when there is only a specified amount of data left on your billing cycle. • Limit mobile data usage: Enable or disable to set a limit on your data usage. 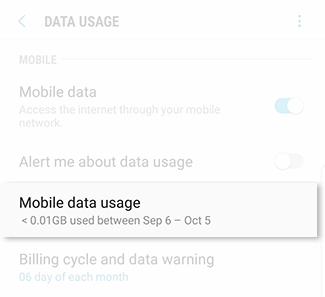 • Data limit: Set the amount of data you can use before mobile data is disabled. How do I use the Mobile Hotspot feature on my Galaxy Note8? How do I use airplane mode (or flight mode) on my Galaxy Note8?